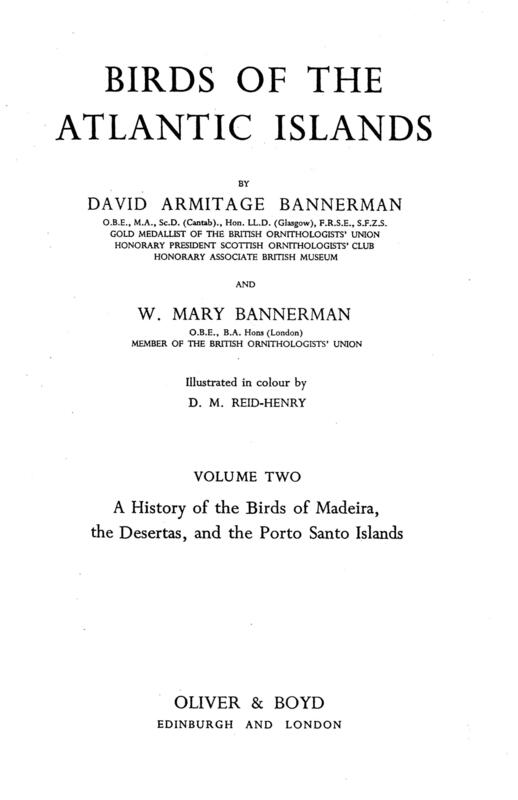 David Bannerman (1886-1979) made many visits to the Atlantic Islands and his accounts give much background information. His series Birds of the Atlantic Islands runs to 4 volumes covering the Canaries, Madeira, the Azores and the Cape Verde Islands. To retain clarity, some of the jpeg files below are quite large (c500kb). Bannerman, Canaries, plate showing an Atlantic Yellow-legged Gull (Larus argentatus atlantis, Dwight) in flight. On the range of atlantis, Bannerman says that it is found besides the Canaries in the Azores, Madeira, Salvages, the smaller islets and rocks, Portugal where about 1,000 pairs breed on the Berlengas and this is also the gull which is found on the Moroccan coast in winter. "The ground colour varies from pale olive to pale umber brown marked uniformly with spots and small blotches of varying shades of brown, from sepia to nearly black. The underlying markings are of stone colour or pale purple. There is no tendency for the markings to gather round the poles; they are evenly distributed. " 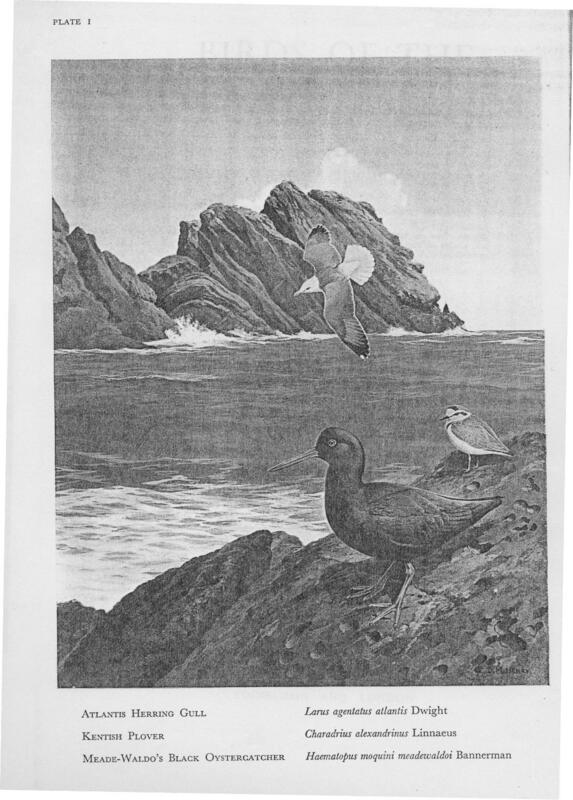 Bannerman, D A, & Bannerman, W M, (1965), Birds of the Atlantic Islands, II. 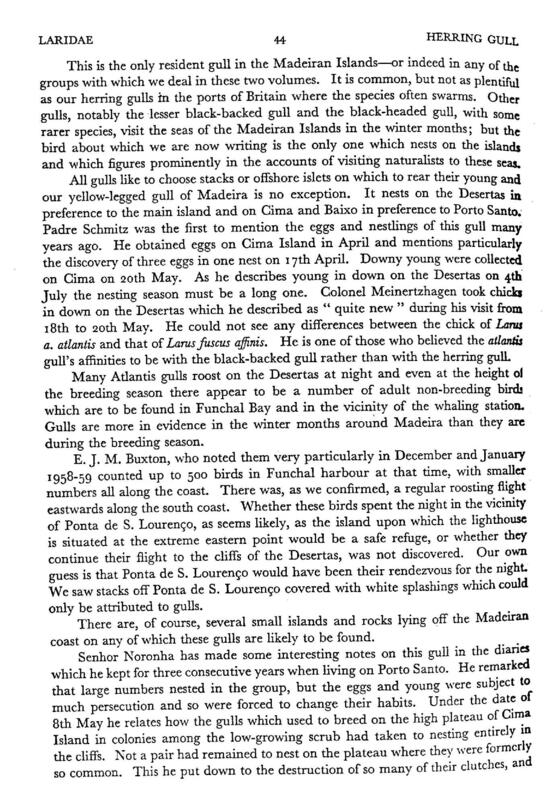 A History of the Birds of Madeira, the Desertas, and the Porto Santo Islands, Oliver & Boyd, Edinburgh & London. The distribution of atlantis is confirmed as the Canaries, Madeira and the Azores. He indicates that other than the yellow legs, this form is similar to Herring Gulls in Britain [argenteus]. 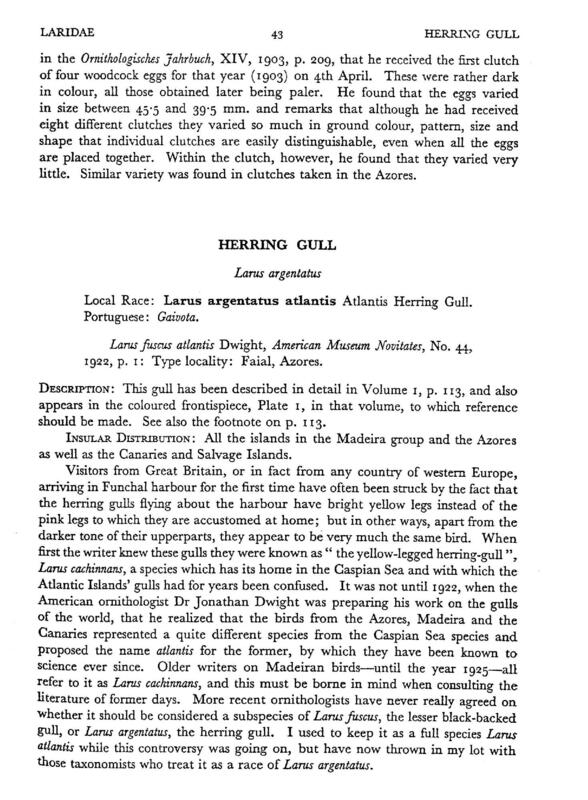 He used to classify it as Larus atlantis but now regarded it as a form of Herring Gull. 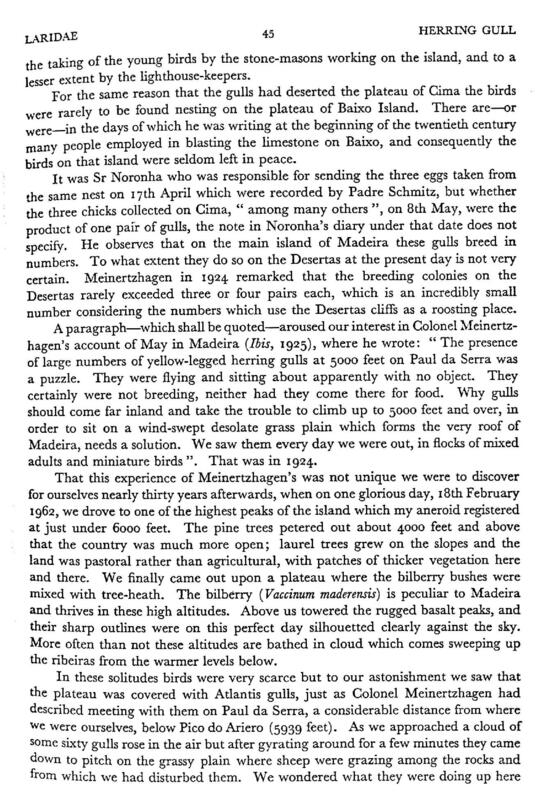 The presence of large numbers (500) at the whaling station in Funchal are described together with a move eastwards to roost at dusk. Evidently they used to nest on the high plateau but persecution had forced them to nest solely on cliffs now. The presence of large numbers on the high plateau is discussed. It is speculated that large numbers only come to the high plateau in spring and summer. Part 3 covers the Azores: see Bannerman's account of Azorean atlantis . 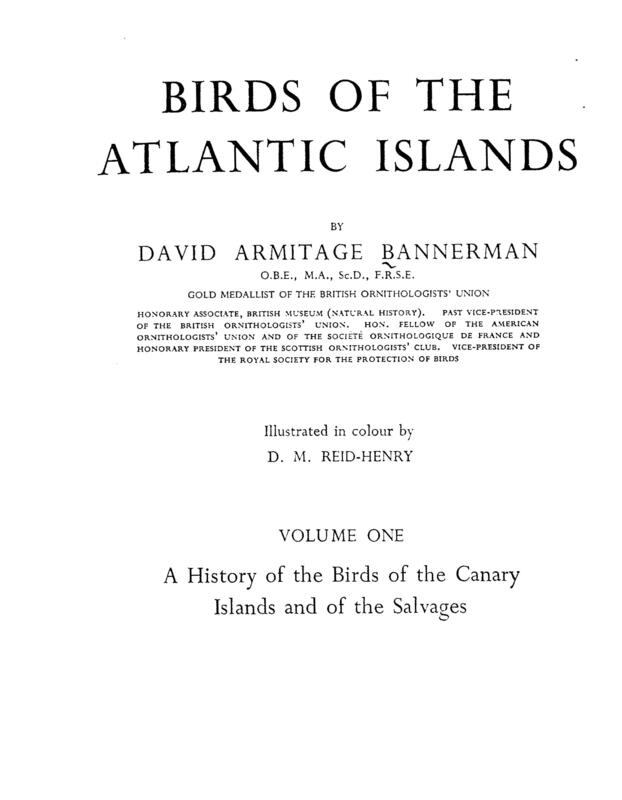 Bannerman, D A, & Bannerman, W M, (1968), Birds of the Atlantic Islands, IV. 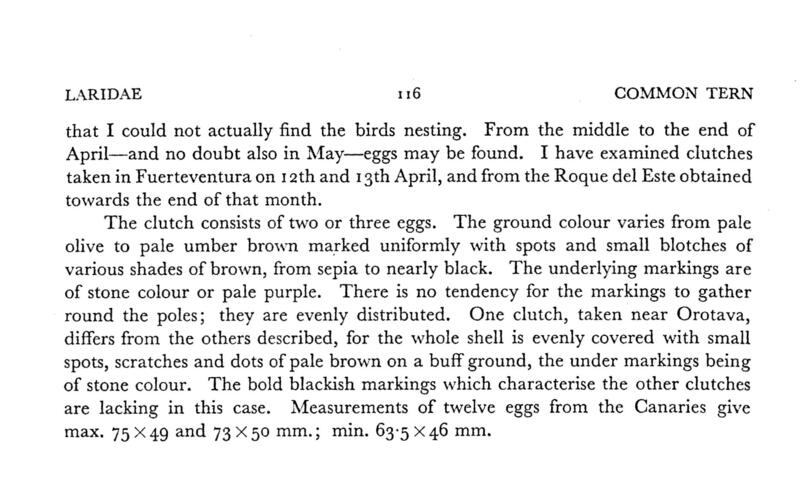 A History of the Birds of the Cape Verde Islands, Oliver & Boyd, Edinburgh & London. 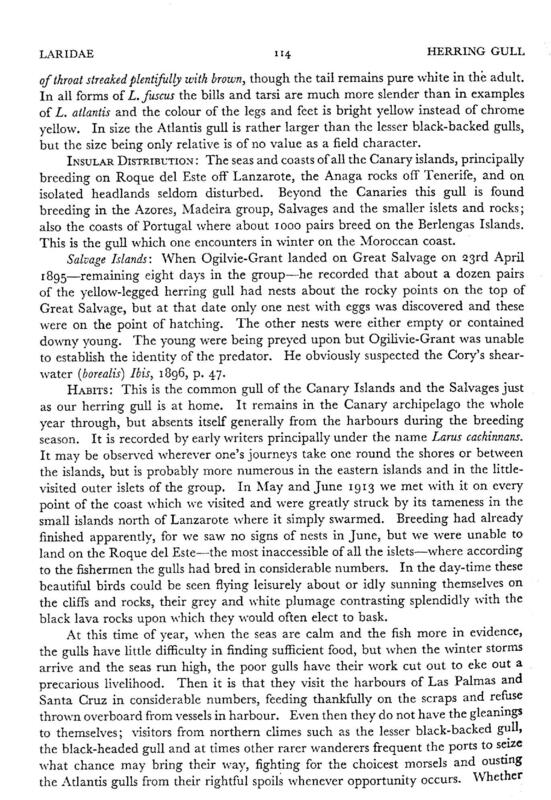 Looked to me like an immature atlantis, with which I was familiar and not as heavily marked as many immature Larus fuscus "affinis" - graellsii which had been reported from these islands previously. No one can be certain of the identification of immature gulls! As the Atlantis gull does not breed anywhere in the latitude of Cape Verde Islands, it follows that any gull seen in these islands will be a visitor in winter dress or in immature plumage. If the bird is in adult winter plumage, the whole tail will be white; if immature or juvenile, it will have a blackish-brown subterminal band. 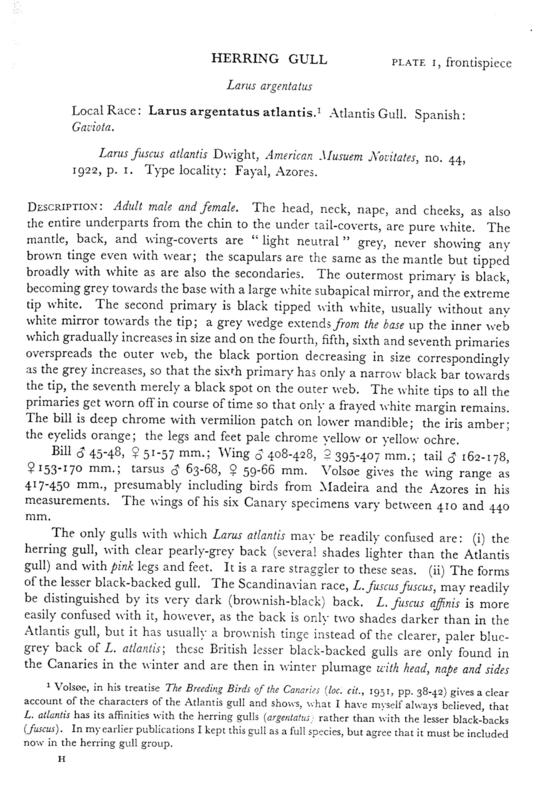 In summer the Atlantis gull is entirely grey on the mantle, back and wing-coverts, the rest of the head, neck and entire upperparts pure white. The head and neck become streaked with brown as winter dress is assumed, and these fine ash-brown streaks may occur more sparingly also on throat and breast. Compared with the Lesser Black-backed Gull of the subspecies graellsii, the Atlantis gull has the back perhaps two shades paler, but it is never as pale as the pink-legged Herring Gull L. a. argentatus, the grey of whose upperparts is several shades paler. 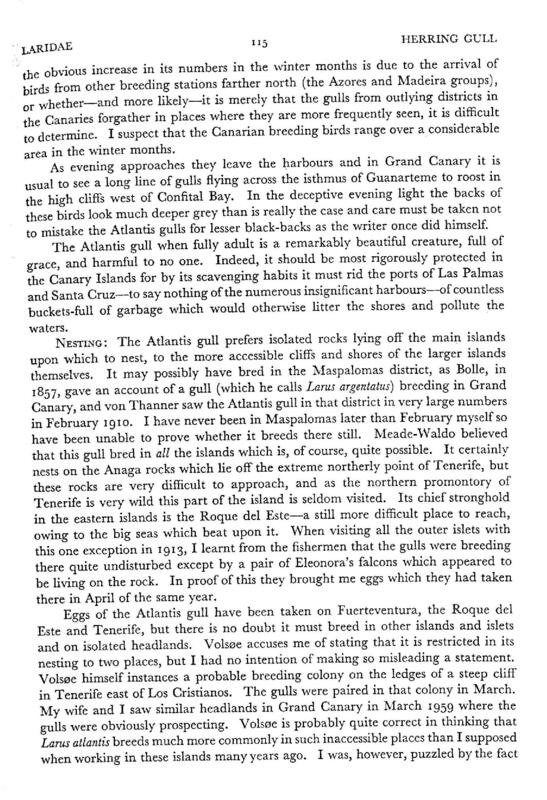 Note in the BOU Checklist The Birds of Cape Verde by C J Hazevoet (1995), it is mentioned that: one atlantis was trapped here. Some others have bee seen, not necessarily all atlantis as they could be michahellis.